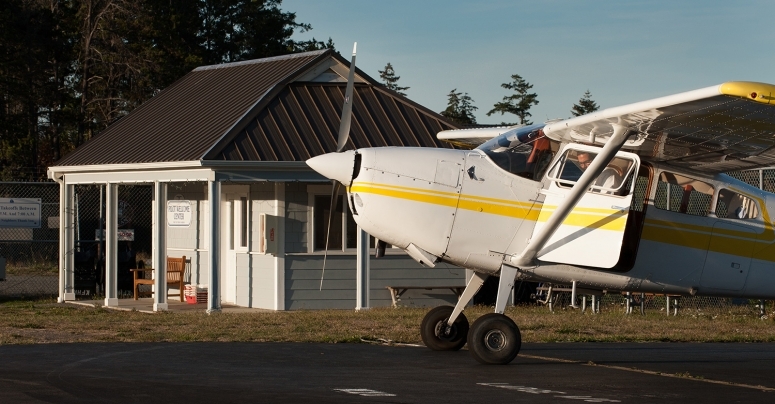 Welcome to the Friday Harbor Airport! The Friday Harbor Airport is the largest airport in the San Juan Islands and is one of the few airports in theUnited States where visitors can fly in and walk to town in five minutes. This convenient access to the Town of Friday Harbor is unsurpassed in providing visitors such a positive experience to our gem of an island. Town amenities include restaurants, shopping, accommodations and car rentals. Our airport provides the island with commercial and private aircraft services in addition to US Customs port of entry. There are 45 tie-down spaces in the transient aircraft apron well-situated for visitors with ground transportation available nearby. For over 30 years the Port of Friday Harbor Airport has served the island community and supported it’s thriving tourism economy.